It was on the evening of Feb. 14, 2008, that two men carrying a gift basket of fruit walked up to the home of Mahn Sha, a prominent and well-respected Karen leader, in the town of Mae Sot, Thailand, and gunned him down. “Good evening, uncle,” one man said in Karen before firing the first shot. Then another gunman also shot him repeatedly as he fell from his chair. They rushed back to a black Hilux Vigo pickup truck and drove away. By then, Mahn Sha was already dead from multiple bullet wounds. He was killed on the balcony where he often rested after lunch, leaving behind a distraught family. His death was also a great loss for Karen people around the world, especially for those who belonged to the Karen National Union (KNU), one of Asia’s oldest armed resistance groups. 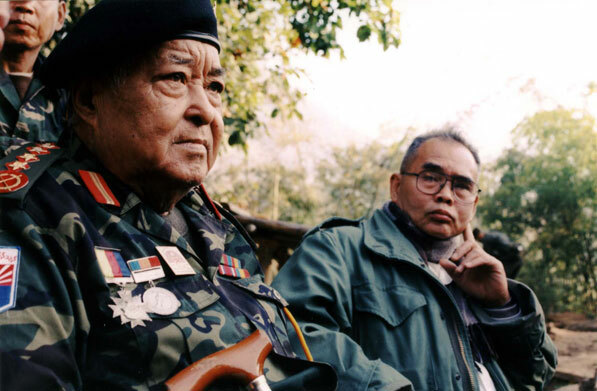 Mahn Sha, who had served as the KNU's general secretary, was highly respected not only by the Karen, but also by Burmese opposition groups. He was considered a wise leader because he often spoke of the need for inclusiveness to bring all democratic forces and ethnic minority groups together in their struggle against military rule. He died at the age of 64, survived by two daughters and two sons, including one adopted son. He said that although his adopted father spent most of his time with his soldiers, his family never felt neglected. Mahn Sha graduated from Rangoon University in 1966 with a degree in history. During his time as a student, he was also an underground member of the KNU. He joined the movement full-time soon after leaving university. From 1966 to 1974, he made several trips to Shan, Kachin, and Karenni states to meet with ethnic resistance groups. He also visited China twice to meet with leaders of the Burmese Communist Party and the Communist Party of China. In November 1984, Mahn Sha became a KNU central committee member and moved to the KNU's headquarter in Manerplaw, Karen State. While serving as the KNU's general secretary, Mahn Sha was seen as one of the group's leading lights and was being groomed to take over its troubled leadership. Many sources said he was on the Burmese junta’s hit list because he was seen as a strong leader who always called for genuine political dialogue. When the KNU sent a delegation led by the late Karen leader Gen Bo Mya to Rangoon in December 2005 for cease-fire talks, the regime requested his exclusion. 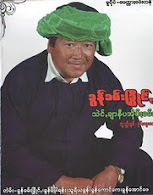 In an interview with The Irrawaddy shortly before his death, Mahn Sha said that he had experienced the plight of the Karen people since his childhood. He said the Burmese regime’s oppression of the Karen people was what made him get involved in the Karen fight for freedom. Today, on the third anniversary of his assassination, Mahn Sha is remembered as a great leader of his people, and one whose name will remain a prominent one among those who have served the Burmese democracy movement. To preserve his legacy of service to the Karen, his children established the Phan Foundation soon after his death. To commemorate the anniversary of his assassination, the foundation, which also honors Mahn Sha's deceased wife, Nant Kyin Shwe, announced today that it had made grants of £8,000 (US $12,850) to Karen rights groups and individuals. “We think this is one of the best ways we can pay tribute to our parents, and continue their work. The organizations we are supporting do fantastic work which deserves support,” said Mahn Sha's daughter, Zoya Phan. “He [Mahn Sha] stood bravely for his people. He sacrificed his life for his people. It was a big loss and sadness,” said Saw Hla Htun, an advisory board member of the Karen Youth Organization.“While many people happily celebrate Valentine’s Day today, Feb. 14 is a sad day for the Karen people,” said Saw Hla Htun.